Harris-Stowe State University is a unique clinical site that offers students the opportunity to work with many different healthcare professionals in a collegiate setting. At Harris-Stowe, I have had the opportunity to work with athletes, write concussion and drug safety protocols, assist my preceptor in writing strength and conditioning programs, help revise Institutional Review Board grant requests, and observe games. 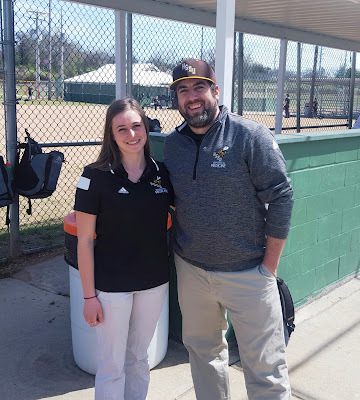 The athletic trainer at HSSU, Tim Herlihy ATC, is passionate about athletic training. We spend a lot of time in discussion about emerging topics in athletic training, what I learned in the classroom, and new research. Harris-Stowe provides an excellent opportunity to learn about administration in athletic training. Tim has guided my involvement in writing protocols, assisting research, and working with other healthcare professionals to care for athletes. Additionally, I have been able to tape, rehabilitate injuries, and apply modalities. I am able to work on my prevention skills through deep core and general strengthening protocols Tim institutes for several of the teams. One special part of Harris-Stowe is its partnership with Logan Chiropractic College. With this partnership, Logan chiropractors and chiropractic students evaluate and treat athletes once a week. They also send chiropractors out to many games to observe and assist with treatment. 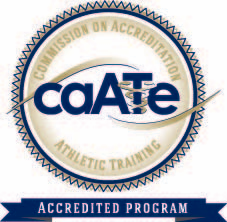 Working with other healthcare professionals has expanded my knowledge and understanding of the role of the many different healthcare providers in an athletic setting. Harris-Stowe is a wonderful combination of many areas of athletic training that it is difficult to get experience in as a student—namely prevention and administration. Go Hornets!